Type locality South Africa (Camponotus maculatus F. subsp. sexpunctatus Forel var. importuna n. var., Forel, 1910f: 27, worker; Camponotus maculatus F. subsp. 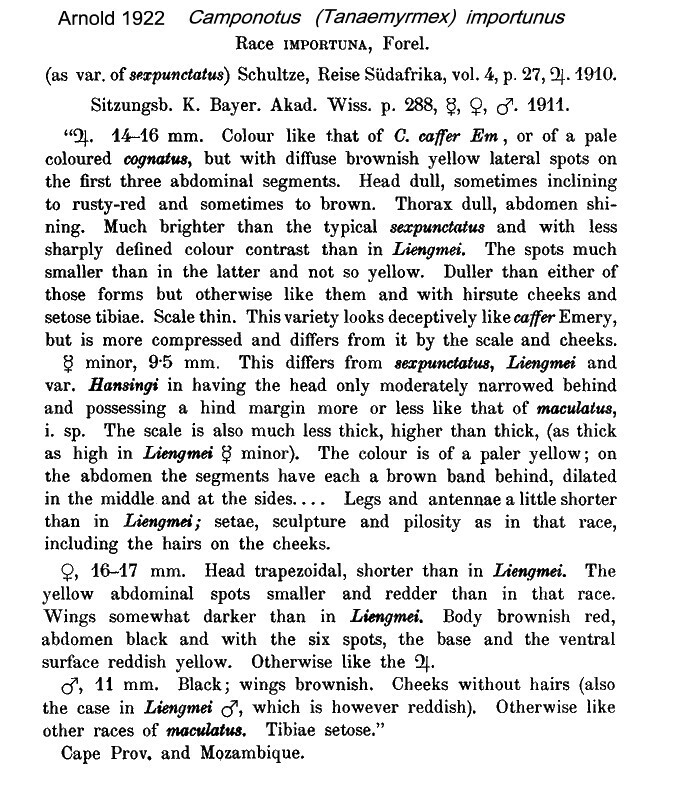 importunus, Forel 1911e: 288, all forms; raised to species Baroni Urbani, 1972: 131) Cape Province, Krebs; all forms described (see Bolton, 1995) . 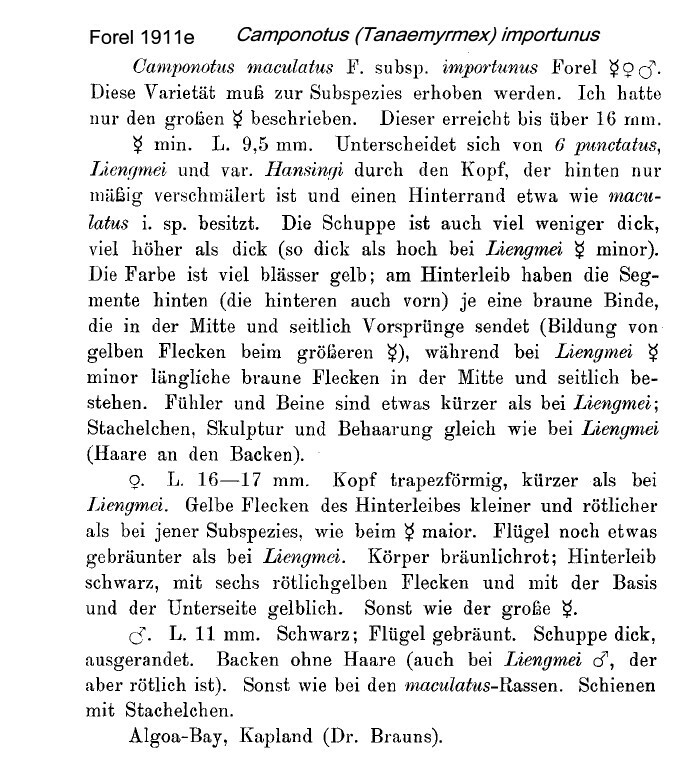 Forel's (1910f) description is at . Forel's (1911e) description is at . Arnold (1922: 635) gave a translation, as ssp of maculatus, this is at . 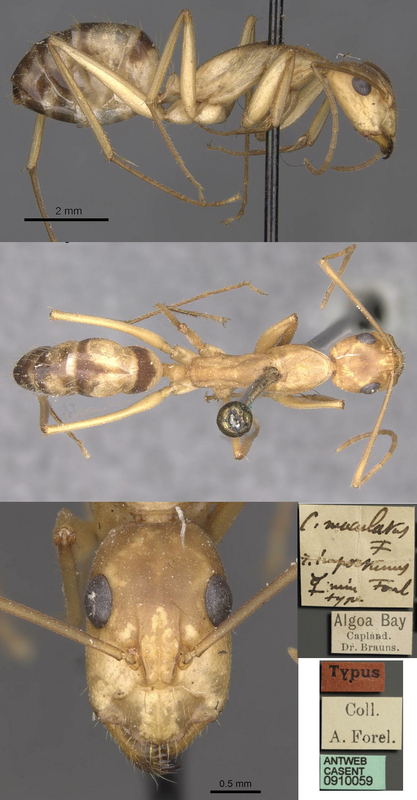 The photomontage of the type major worker is collated from http://www.antweb.org/specimen.do?name=casent0910058. The photomontage of the type minor worker is collated from http://www.antweb.org/specimen.do?name=casent0910059.